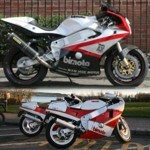 Bimota Forum :: View topic - Did someone forget to pay the power bill? Did someone forget to pay the power bill? Posted: Sun Aug 23, 2015 6:24 pm Post subject: Did someone forget to pay the power bill? Good to see the site up & running again. What happened? The web space provider had a major problem and had to replace the hardware. While most of the things I have with them were back up at the start of last week, this site and all my ftp access have only just come back. I probably will be migrating to a different server at some point in the near future. Not a job I am looking forward to. Thanks for getting us going again. I was starting to miss my Bimota forum fix. Thanks for sorting the issues Keith. Many thanks for getting back on line....getting my daily fix now! I can now stop re arranging the cupboard so that he labels face forward and I thought I was only mildly OCD until the site went down. You never know how much you miss something till its gone!!! The wife and kids I can do without for weeks, but it was starting to get serious with no forum. Thanks Admin and welcome back forum. I'm so glad the site is back too. Loads of information, reference material, hearing about where to get support, like Bimota classic parts. Ability to connect with other owners. I was in mourning..... Until I saw it back up. I haven't seen anything, but is there a way for forum members to contribute to cost of keeping the site up? Have to say that I really missed the place - glad its back up! Thanks for providing this great resource, and making it work for us all again! I truly appreciate the selfless nature of some folk, and Admin, I'm talking to you. Thanks again. Ummm, is that what they call spam?